Accommodation offered by default will be a Standard Single, Double or Twin Bedroom. Standar Plus with en-suite on request (POA)*. ARE YOU TRAVELLING TO EXETER & NEED ACCOMMODATION? Exeter Homestay UK offers an accommodation only stays for students/groups/juniors/individuals whom are visiting/studying in Devon. Living with a host family means that you live with a family either in your own room or shared with another student if you are travelling together. 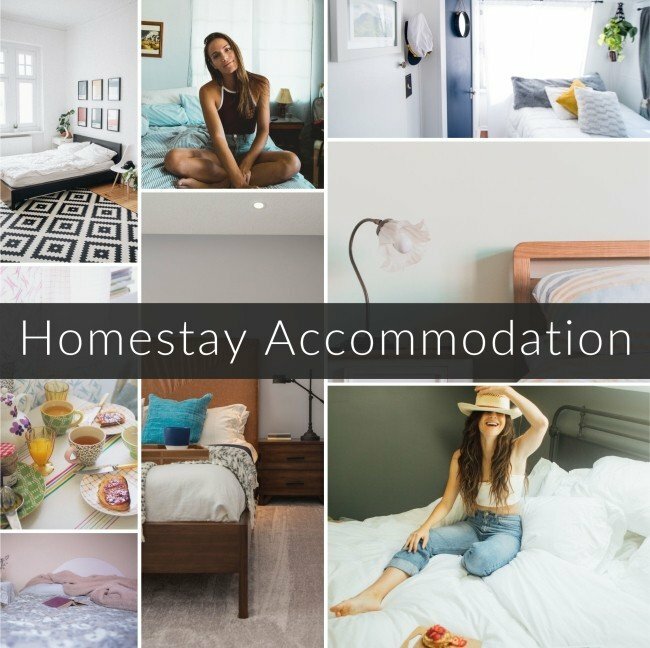 We feel that living with a host family during your studying/work placement/college/university or even a training course can be a more affordable and safer option for you during your stay. This will also engage you with our british culture and support during your stay. You will live, cook or eat and relax within your host family home during your stay, or if you just prefer to study in your room then that is fine too. All host families are carefully selected and recruited by us for you. Most of our host families have been hosting for several years, so they are very experienced and are used to having students in their home. We do however, try to endeavour to match you to the best host family whom is most suitable to your needs and also suitable for your host. you will need to provide your own food during your stay. This option offered you will be provided with a Room and Breakfast, use of facilities (bathroom, kitchen and wifi). Bed & Breakfast cost from: £120 per week (equivalent to £17.15 per night). This option offered you will be provided with a Room, Breakfast and an evening Dinner, use of facilities (bathroom, kitchen and wifi). You will be served well balanced warm meal for dinner, or you can cook yourself sometimes too! Please specify any dietary needs or requirements (supplement may apply). This option offered you will be provided with a Room, Breakfast and an evening Dinner. You will be served a well balanced warm meal for dinner. Please specify any dietary needs. Do You Have Any Allergies*? Any medication or medical conditions*? Do You require an airport /coach /ferry transfer? Photocopy of passport (and visit visa) required on booking. Our booking fee charge for arranging your accommodation and settling you in can be either a one off booking fee of £80, this will reserve a host at time of booking.